How will you enjoy living in Greece off-season? If you’re thinking of moving to Greece for ever, you should see it in off-season first. You’ll probably be pleasantly surprised. On the busiest day of summer in Greece, the first Monday in August, nearly 800 flights arrive in Greece, bringing 150,000 passengers. By Oxi Day on 28th October, nearly 30 million tourists have been and gone and the Greek people are ready to enjoy some peace and quiet. And Greece does get quiet in winter. If you’re thinking of moving to Greece full-time based on your summertime experiences, take a good look at it in winter first. It’s the best time to buy a house anyway, and will let you get a feel for the “real” Greece. It’s the time when many Greeks can relax after a hard summer of tourism work and open a bottle or two, probably with a nice dinner of roast pork. Or they would do, if they didn’t have to harvest a few olives first. So what can you expect from off-season Greece? The airlines do their best to keep the wonders of winter in Greece a secret, with severely curtailed services. You often have to go via Athens or Thessaloniki, but once you’re that far, inter-island flights and ferries still operate. Do leave plenty of time, however, as they all operate at a far reduced frequency and with the risk of cancellation due to any adverse weather. See it as an opportunity to develop your Greek style of relaxation – chill out and order some olives. Winter is a time for getting to know your neighbours. They won’t be so busy, for a start, if you’re in a tourist area, and the youngsters will come home from jobs in the resorts. If you haven’t bought a home yet, you shouldn’t be short of somewhere to stay. The big hotels in resorts may close, but Greece is so much better for the friendly neighbourhood hotels and tavernas anyway. Airbnb is big in Greece, and what better way to decide if Greece is the place for you than to live in a real Greek home? As the beach resorts, bars and gift shops close and most of the tourist work dries up, people return to their villages. First, they need to help pick the crops and sort out the livestock that’s been fattening up all summer. You can enjoy that home-grown produce in the village cafes and restaurants that usually stay open all winter and will welcome you with a warm fire. From October to May, you can enjoy the wild countryside without blinding sun or the searing heat of summer. From September, but before the cold weather hits in late November, you will normally see a re-bloom of Mediterranean flowers like a second spring. Then, soon after Christmas, flowers in the lowland areas come into glorious bloom from January onwards. You might not want to swim in the sea just yet (but on 6th January, do see the youngsters diving in to retrieve a cross thrown in by the local priest, who blesses the water), but the Mediterranean certainly livens up in winter and the play of winter light on water can be stunning. Not only are the world’s greatest riches, such as the Acropolis and Parthenon, often half the price in winter, but they get a fraction of the crowds too. At off-season archaeological digs, you can usually get in close and talk to the archaeologists. 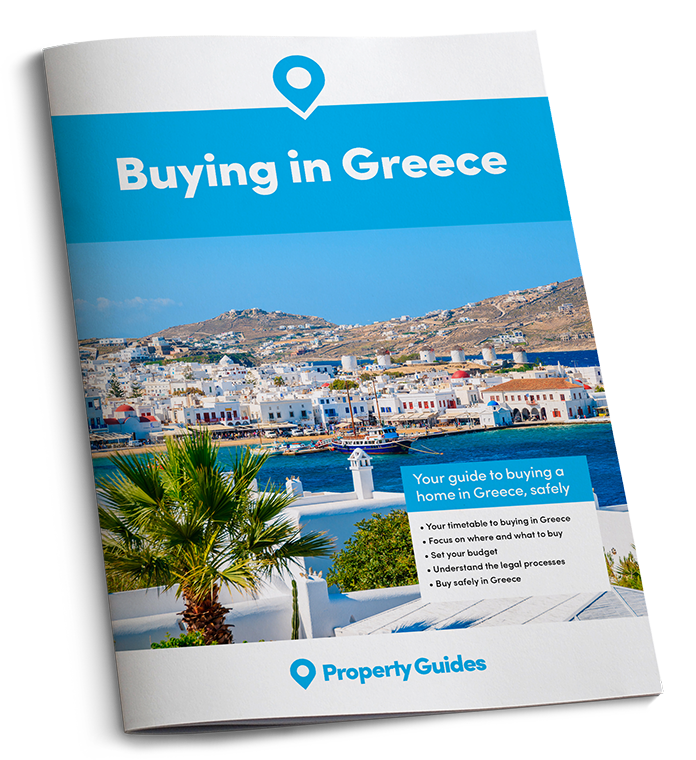 Whenever you wish to live in Greece, knowing how to negotiate for your property should get you a little more house for your money! Download our guide: How to Negotiate Abroad. Christmas is considered a less important festival than Easter, but you wouldn’t necessarily know that when you see the same twinkling lights, carol singing, trees and overeating as in the UK. Shops still close for two days, but presents are given at the New Year. New Year’s Day is also the time to win some money, in theory at least, as friends gather in the cafes for card games. Greece is hot and sunny much all the time in summer, but those 30°C days can feel a little uncomfortable after a while. Greece’s rain tends to fall in brief, dramatic torrents, followed by fresh, dazzling sunshine, rather than the interminable murk and drizzle of large parts of the UK in November. 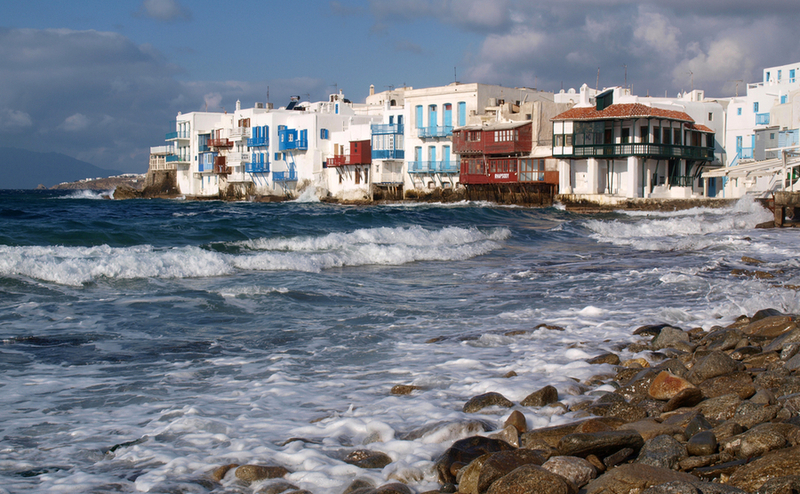 In winter, the average daytime temperature is 16ºC in Crete and there are twice as many hours of sunshine as in London. Being mountainous, you can always find some snow in Greece if you want that “Christmassy feeling” and there are ski resorts within a couple of hours of Athens at Parnassos and Mount Helmos.